The hotel is situated in the commercial district of Wan Chai offering a panoramic view over Victoria Harbour. Major tourist attractions such as the Hong Kong Convention and Exhibition Centre and the Hong Kong Academy of Performing Arts can be found nearby. This air-conditioned city hotel has a total of 320 rooms featuring a lobby with a reception, a hotel safe, a café and WLAN access point. 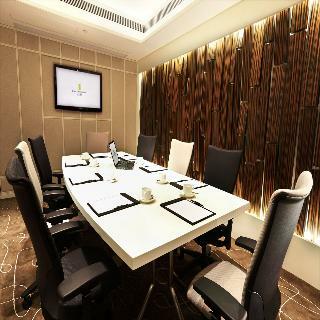 Further amenities include conference facilities, a restaurant and laundry services. A doctor on call service is also available. The rooms are designed in a way affording elegance and homely comforts. All accommodation units are fully-equipped as standard including a satellite/cable TV, a minibar and centrally regulated air conditioning. Leisure facilities include an outdoor swimming pool, a fitness centre and a beauty service. **Our hotel will undergo a room renovation program starting May 15, 2017 through early September 2017 on few floors. We appreciate your patience and kind understanding in this product improvement work which will offer a more comfortable and contemporary facilities to our guests in the near future. We sincerely apologize for any inconvenience caused. 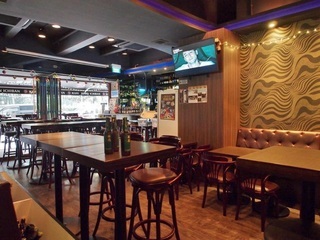 **This hotel is located in the heart of Wan Chai commercial district. The Hong Kong convention and exhibition centre is only steps away from the premises. 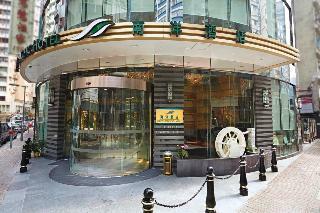 The hotel can be easily reached from the Wan Chai Railway station. This air-conditioned property comprises a total of 196 rooms. 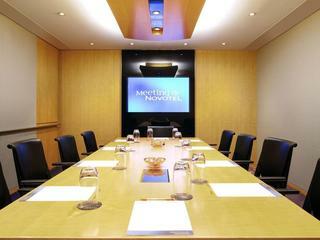 Facilities on offer include a lobby area with a lift, an exclusive executive lounge and conference facilities. A bar and two restaurants serving superior western and Chinese food are also available. All 196 tastefully appointed and spacious rooms are located on high floors commanding a spectacular view of the mountain or the city. Each room is fully-equipped a standard with the latest modern facilities. The hotel also provides a gym. 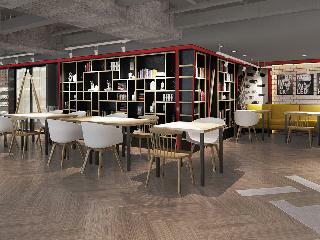 The hotel is located a 5-minute walk from Times Square and Causeway Bay MTR Station. It is a 20-minute walk from Hong Kong Convention and Exhibition Centre. The air-conditioned hotel comprises a total of 98 rooms and was built in 2011. Guests are welcomed in the lobby, which offers a 24-hour reception, as well as lift access to the upper floors. Guests can arrange private limousines or book day trips at the travel desk. Further amenities include wireless Internet access, room service and dry cleaning services. The chic-yet-casual Hill Oyster Bar & Grill serves seafood dishes and premium wine. All rooms are en suite with a hot-water shower and a hairdryer. Each room is well equipped as standard, offering wide windows, wooden furnishings and hardwood flooring. Individually regulated air conditioning is a standard feature in all accommodation. 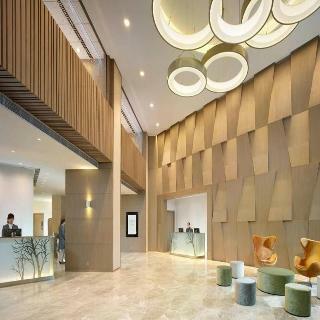 This lifestyle business hotel is situated in the heart of Hong Kong's luxury commercial, shopping and entertainment districts in Wanchai, being proximate to Causeway Bay and Admiralty. Wanchai MTR (Mass Transit Railway) station is just 2-minute away and the Hong Kong Convention and Exhibition Centre is just an 8-minute walk from the hotel. The property is also adjacent to a large-scale shopping mall (Pacific Place) with many of the world's leading brands. The hotel boasts a large choice of spacious and elegantly decorated rooms, each featuring a full range of modern amenities. Several accommodation options are offered to suit all travellers’ needs, from the comfortable double rooms to the executive suites specially designed for those visiting the city for business purposes. 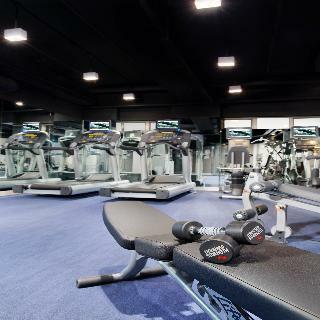 The fitness room is ideal for sports lovers, and the resourceful staff is ready to assist guests in everything they may need, such as theme park tickets or guided tours to discover all this city has to offer. Conveniently located within a 15-minute walk of Admiralty and Wan Chai MTR stations, and just a five-minute stroll from the brands and boutiques of Pacific Place, the stylish 4-star OZO Wesley Hong Kong offers on-site dining and a spacious fitness centre. The hotel's 251 guestrooms and suites are designed to ensure high levels of comfort and a peaceful night's sleep, and feature chic modern d?cor. They come with a bay window with built-in seating and city views; a private bathroom; flat-screen LCD TV with international channels; free Wi-Fi; multimedia connectivity panel with USB and audio connection; fridge; tea/coffee making facilities; and complimentary drinking water. 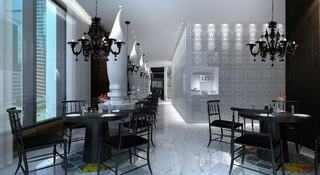 For dining, Zaan restaurant serves breakfast each morning followed by modern Chinese cuisine, while the O2Go caf? offers coffees, snacks and sandwiches for people in a hurry. 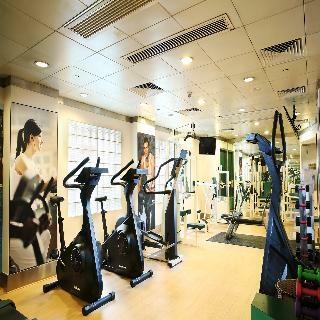 There is also a fully equipped gym with cardio-vascular machines and free weights, plus a lounge where guests can relax. Other facilities include interactive orientation screens for guests' use providing in-depth information on the local area, 24-hour reception and free parking. There is also a meeting/conference room available for hire. Perfect location for HKCC, amazing banquet at hotel’s restaurant. Third time stayer and will stay again.